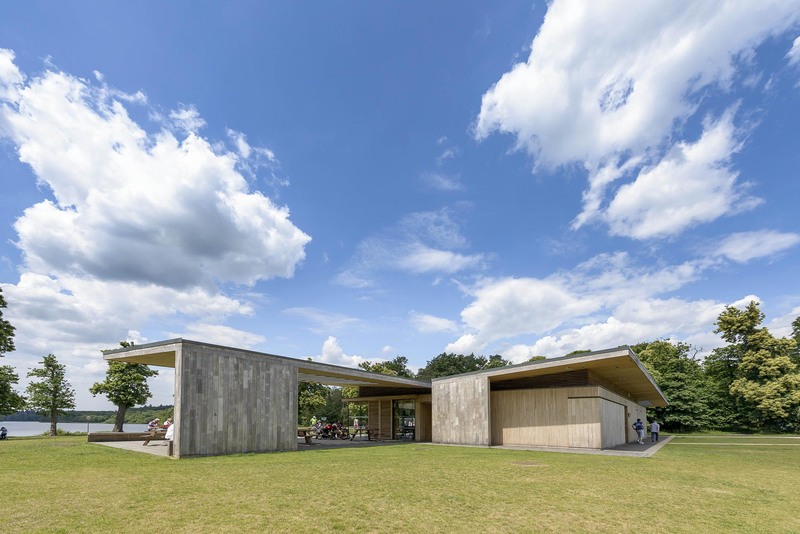 The project comprised the construction of a timber visitor pavilion. The works included foundations, construction of pavillion with mono pitched roof, Mechanical & Electrical installation, new WC’s, floor finishes, decoration and associated external works. 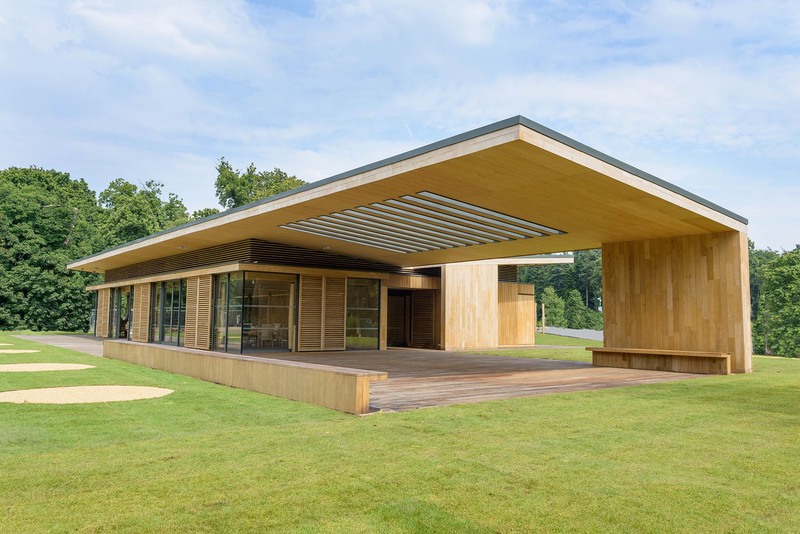 The pavilion provides visitors with an enhanced kioskstyle refreshment offering providing hot and cold food throughout the year, public conveniences including baby changing facilities and it will act as a centre for visitor information and support. 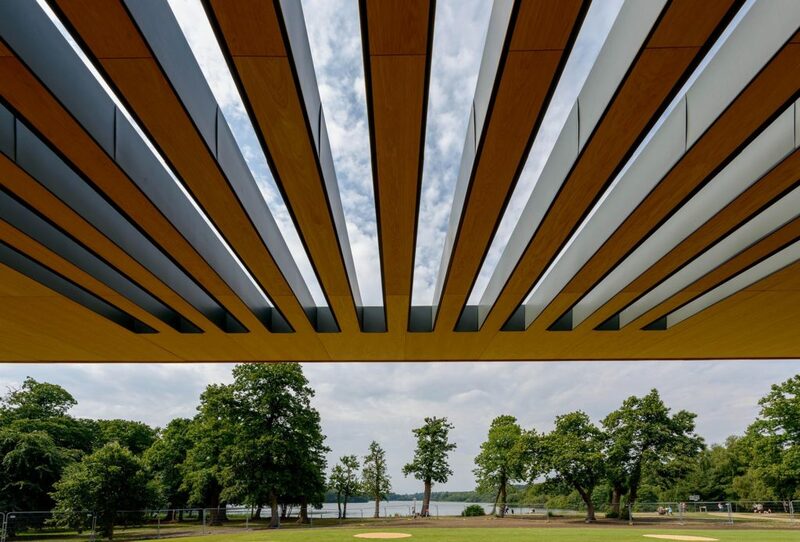 The external terrace provides generous seating and offer enhanced views to Virginia Water Lake. 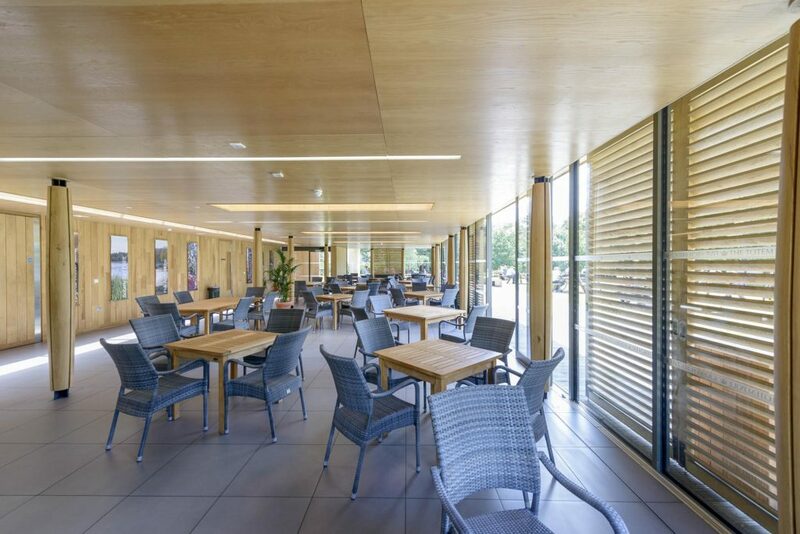 The external cladding of the building has made extensive use of timber to provide a further means to reduce its impact and enable it to sit comfortably within a woodland glade. The timber has been grown and harvested on the Windsor estate where all forestry operations are FSC certified. 195 cubic metres of Douglas Fir have been used for the structure of the building, with 125 cubic metres of oak used for the cladding. The Pavilion has been designed to be as sustainable a building as possible. 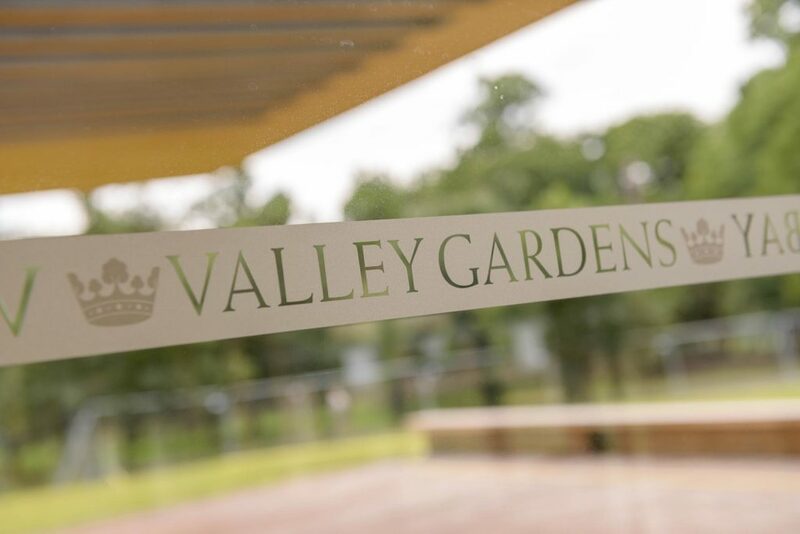 With energy efficient LED lighting throughout, additional features include PV solar panel cells on the roof to generate energy, a rainwater harvesting system to reduce reliance on mains water for flushing toilets and air source heat pumps to provide background heating for the building. 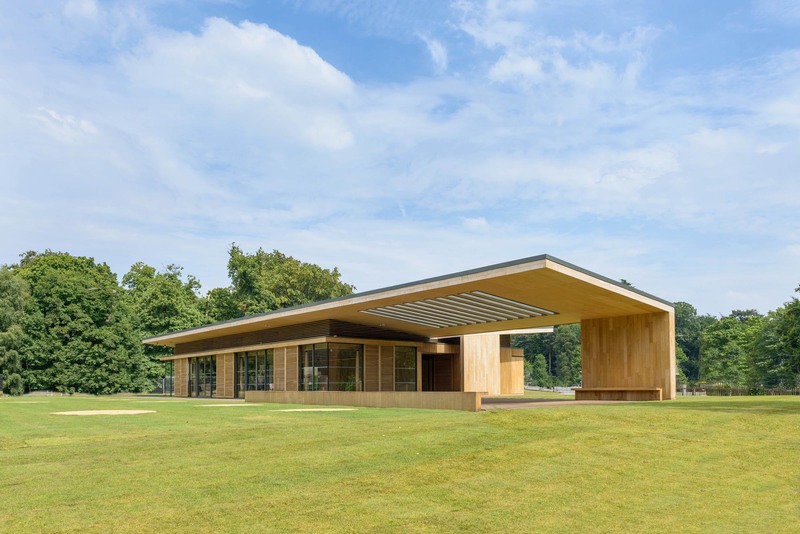 Virginia Water Visitors Centre Wins a National Civic Trust Award!